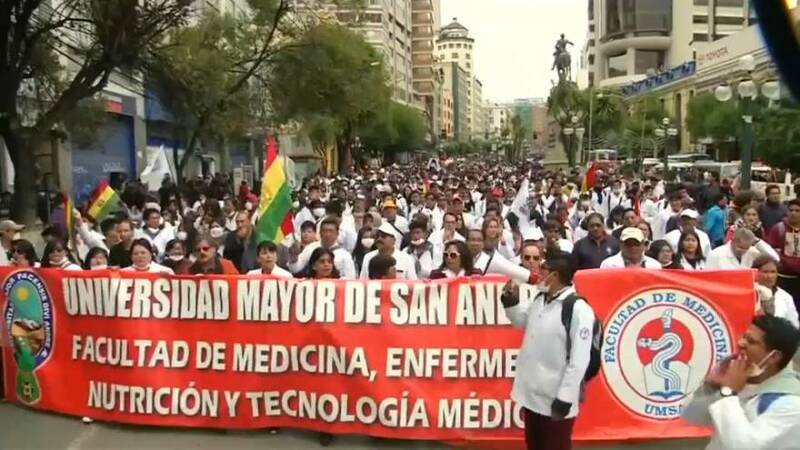 Clashes erupt in La Paz as protesting doctors, medical professionals and medical students continue a month long strike that has all but shut down local hospitals, with the exception of emergency rooms. Police fired tear gas as rocks and small explosives were thrown at them. At the Greater University of San Andres, nine doctors entered their eighth day of a hunger strike on Friday. Protesters are demanding the repeal of a new law that imposes heavier sanctions on doctors found guilty of causing physical harm to their patients. The new punishments include: five to nine years of imprisonment, the suspension of a professional title and the seizure of assets. Talks with the government of President Evo Morales about the new law have crumbled. Protesters have announced more demos for Christmas Day.